The Parliamentary Protective Service has launched an internal investigation into an allegation that a member of its staff acted in a discriminatory way toward a group of black visitors to Parliament Hill earlier this week. According to a statement released Thursday by a coalition of black, human rights, labour and youth groups, the incident occurred during a visit to Parliament Hill by 150 community members who were attending the Black Voices on the Hill day. The visitors were in Ottawa for a series of meetings with eight federal cabinet ministers when they were asked to wait in the parliamentary cafeteria, the statement said. The group claimed a government employee complained to the PPS about the visitors, taking their picture and referring to them as "dark-skinned people." The group alleges a member of the PPS who responded to the employee's complaint used the term "dark-skinned" and told them to leave the cafeteria even though they had valid parliamentary passes that allowed them to be there. "At the outset, we offer our apologies to the participants for the situation that they experienced on Monday," said a statement from Joseph Law, chief of staff to the PPS, which provides security on Parliament Hill and is overseen by the RCMP. "The Parliamentary Protective Service has zero tolerance for any type of discrimination. We took immediate action upon learning of this incident and launched an internal investigation into the matter. "Once this process is completed, we will be advising the Speakers accordingly," the statement said, referring to the Speakers of the House of Commons and the Senate. 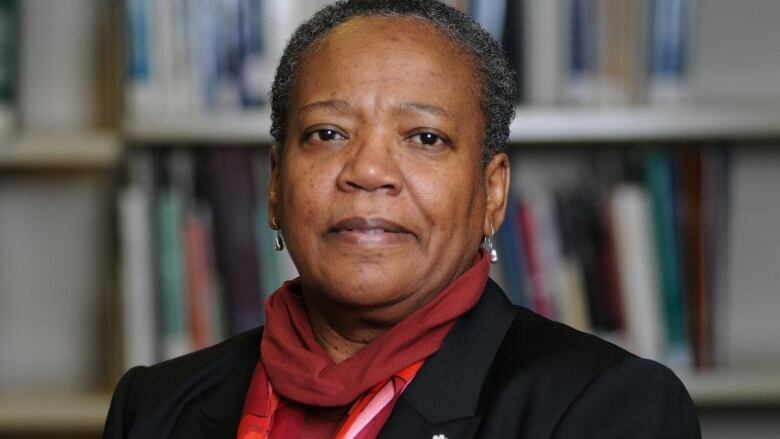 Nova Scotia Sen. Wanda Thomas Bernard, an African-Canadian parliamentarian, filed a complaint to the PPS on behalf of the group. The visitors are asking for a meeting with Prime Minister Justin Trudeau during which they hope to ask for an "end to racial profiling at the federal level." The group also wants to meet with House of Commons Speaker Geoff Regan "to secure an official apology." "The incident, which violated the human rights of the victimized, is not isolated but part of a broader systemic problem," the group said. "It shows how at the highest levels of Canada's public institutions, anti-black racism can flourish embedded within public institutions, how law enforcement can disproportionately criminalize black youth, and how there is an urgent need for more robust measures to eliminate all forms of discrimination from society." The coalition of groups that put out the statement also held news conferences on Friday in Halifax, Montreal, Vancouver, Ottawa and Toronto. Coalition member Peter Flagel, of the Michaëlle Jean Foundation, said that the group's perception that its members are not welcome in the corridors of power was reinforced by the incident and will take time and effort to undo. "There was quite a lot of sadness and quite a lot of hurt," Flagel said at the Ottawa press conference Friday. "There were people that were crying. There was this general sense that they didn't belong on Parliament Hill, that they didn't have a place within democratic spaces. "The whole point of inviting young people to the Hill was for them to be part of the democratic process, for them to have a direct dialogue with cabinet ministers, and so the message seems to have been the contrary."